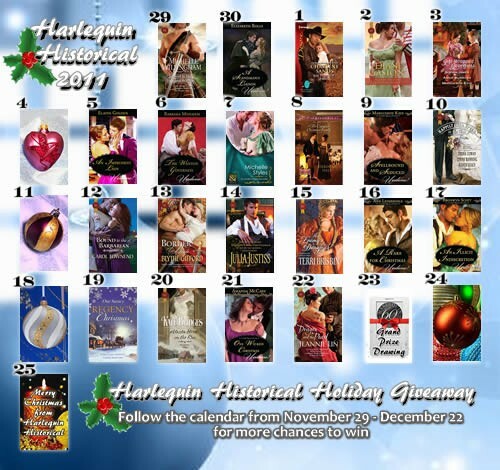 From November 29th , twenty-one Harlequin Historical Authors have teamed up to create an online Advent Calendar. You can find the calendar here (website link to eHarlequin), as well as on the individual author sites. Each day, click on the calendar to visit the host author's website, and you can win prizes such as signed books, gift certificates, and holiday goodies. You will be asked to complete a task, such as posting a blog comment, searching for a hidden ornament, or answering a question about an excerpt. Please check the author's web page for your instructions and to see what the daily prize is. You can enter once each day, at each of the twenty-one websites. On December 23rd, a random drawing from among all 21 authors' entries will determine the grand prize winner of a Kindle Fire. Please see the official eligibility rules (www.michellewillingham.com/official-rules) for this giveaway. Happy Holidays from the Harlequin Historical Authors! And the question is ... what amazing wild creatures did I meet with recently as a birthday present from my husband? Have a look around my website for the answer, and then use the email link at the top of the page to tell me! Yes! We have a winner! Sorry to be an hour late, but I took time to have dinner as well as unpack and put the washing on after my Scouts Camp. And the winner is Nina C, from Ireland. Congratulations to Nina! I've notified Nina via email. Thank you to everyone for entering, and don't forget to enter on the other participating authors' days. Readers coming late can still enter for the Kindle via this website by answering my question. Good luck with the Kindle everyone! Also, one person that I know of had trouble with my email links. So if the email buttons at the top of each page don't work for you, the addie is books at elizabethrolls.com. I can only wish the cursed spammers had so much trouble with my email buttons! Click on the image below to go to Michelle Willingham's Advent Calendar Page for live links to the other authors.